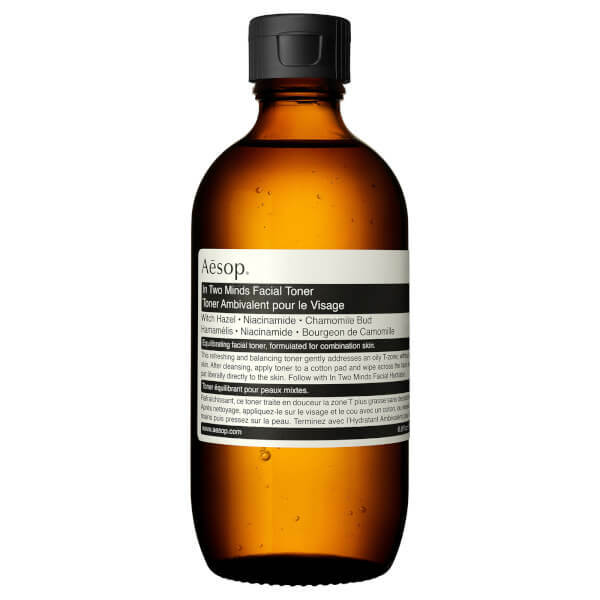 Clarify your complexion with Aesop In Two Minds Facial Toner; a mildly astringent formulation that works to soothe and balance skin without greasy or sticky residue. Synergising Witch Hazel, Niacinamide and Chamomile Bud, the refreshing toner sweeps effortlessly over the face and neck to complete the cleansing process. 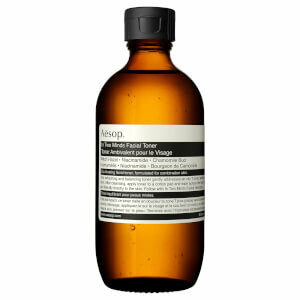 It eliminates any remaining impurities, whilst revitalising and refining skin for a silky smooth finish. Perfect for addressing oily T-zones. 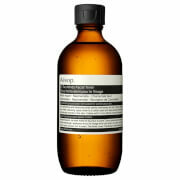 After cleansing, splash onto a cotton pad or directly into the hands, and pat onto the face and neck. Water (Aqua), Alcohol Denat., Hamamelis Virginiana (Witch Hazel) Water, Glycereth-26, Niacinamide, Coceth-7, Trideceth-9, PPG-1-PEG-9 Lauryl Glycol Ether, PEG-5 Ethylhexanoate, Sorbitol, Camellia Sinensis Leaf Extract, Panthenol, Sodium Citrate, PEG-40 Hydrogenated Castor Oil, Phenoxyethanol, Lavandula Angustifolia (Lavender) Oil, Disodium EDTA, Salicylic Acid, Ormenis Multicaulis Oil, Rosmarinus Officinalis (Rosemary) Leaf Oil, Salvia Officinalis (Sage) Oil, Benzoic Acid, Citric Acid, Linalool, Limonene.